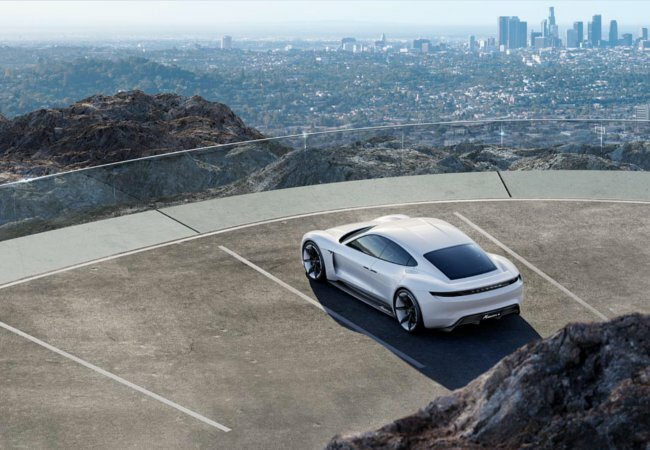 While many of us already knew that Porsche had plans in the pipelines to create its first fully electric vehicle - the Mission E, fewer of us perhaps realised the range of innovative tech that would be coming with it. As more details are being leaked on the Porsche Mission E, the realisation is setting in that this electric super car is more than just a Tesla rival. 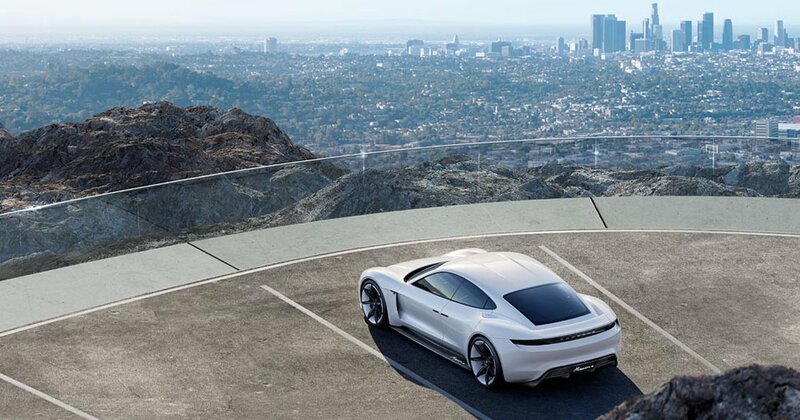 Rather, the Porsche Mission E is paving its own path to push forward the frontiers of automotive technology. This is a car that is guilty of inciting intense curiosity and stirring excitement, and doing so without any signs of regret. 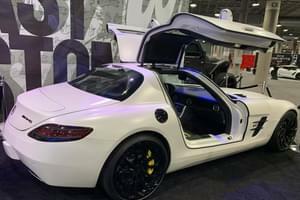 A car that is entirely powered on an advanced lithium-ion battery. This battery is positioned in the underbody and extends the full length of the car, the weight of the battery is thereby distributed equally, diminishing the car’s overall drag coefficient. Using inductive charging, the car is charged by being driven over a charging base plate that is positioned in the ground. 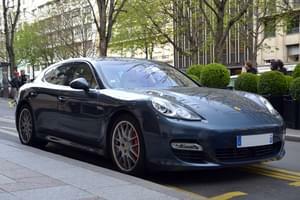 The car’s batteries automatically respond to the plates by starting to charge. However using more conventional methods as well, the car’s batteries can also be recharged at a standard electric charging station or at a home installed cable. The port is ergonomically hidden behind a panel at the side of the front fender. Featuring four doors and four seats, the rear opens as suicide doors, enhancing its sports car look and providing more room to disembark. Entirely inconspicuously the rear vision mirrors are missing, instead cameras capture the full external circumference of the car and project it on a display in the lower corner windshield. The car’s menu system uses eye tracking technology, which means that the driver can control the car’s menu by just looking at the instrument he wants to use. A camera will then detect where the driver is looking and select the instrument on the dashboard. The driver can then confirm that selection by pressing a button on the steering wheel. As the driver shifts in their seating position, the car’s display will shift with the driver. So if in the course of a journey the driver moves higher or lower in their seat or more to one side, the instruments displayed on the head up interface will move in line with the driver. Yet putting all these technological innovations aside (if that is even possible), the motoring design of the Porsche Mission E makes it a serious competitor of the Tesla Model S, the established leader of pure electric sports cars. 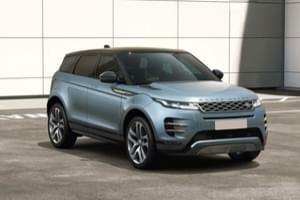 Deriving power from two electric motors, this all-wheel-drive produces the equivalent of 600 horsepower. It will have the means to charge up to 80% in just 15 minutes, giving it a range of 402 kilometers (250 miles), where with a full charge it will have a duration just short of 500 kilometers (or 310 miles). In comparison Tesla’s top of the range 85 KW version of the Model S will have a range of 434 kilometers (270 miles) on a fully charged battery. In respect to speed stats the the Mission E is expected to achieve a top speed of 241 kilometers (150 miles) an hour and will sprint to 100 km in 3.5 seconds. In the process of bringing this car from concept to reality, Porsche announced that it will be growing its team by 1,400 people and investing an approximate $1.1 billion dollars. But even with that surplus of additional resources, the Mission E is not expected to roll off production lines until 2020. In this rapidly developing technology market, it is hard to say whether the Mission E will maintain its competitive advantage over the next few years and justify what is bound to be its whopping price tag. As impressive as it all looks now, it might be as standard as meat and potatoes come 2020. Albeit, a very dynamic serve of meat and potatoes.